What mom doesn't want her kids to eat healthy? Most of us do and we try our best. Sometimes, or should I say, most of the time - we don't have the time for a wholesome breakfast, lunch, and dinner. As for me, I will go out of my way not to feed my family processed packaged foods with additives and artificial ingredients. I will take a bland, simple, healthy, homemade meal over a flavorful (MSG?) elaborate, packaged, quick meal any day. The Nest Collective thought of making something quick and packaged, yet healthy, flavorful, and nutritious to boot! No preservatives, additives, and it is organic! I recently had a chance to test drive some Nest Collective organic food. Currently they have two brands, Plum Organics for babies, and Revolution Foods for kids. Yes they have meals, but most I would consider snacks (that is how kids like to eat after all). I think they are absolutely perfect for road trips, on the go, and for all the in-between moments. Plum Organics: Plum Organics carries baby food pouches and flash-frozen baby food. 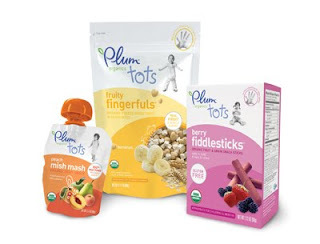 Plum Organics Tots is for babies 12+ months and has Mish Mash Fruit Snacks and several different finger foods. They have Plum Organics Kids Meals as well that I haven't tried. They are frozen and come in four varieties: bowtie pasta, cheese-filled spinach tortellini, Italian sausage marinara, rainbow pasta shells (all come with a side of veggies). 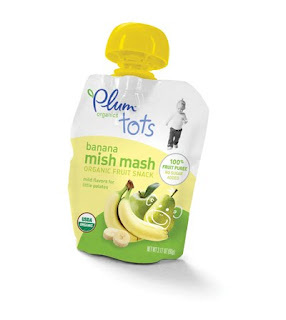 We received the Banana Plum Tots Fruity Fingerfuls, 2 Plum Tots Mish Mash Fruit Snacks, and Plum Baby Peach/Apricot/Banana. We have only tried the Tots Mish Mash, and it is clearly a winner. I gave her just a little in the evening to try and she obviously kept asking for more. I had to hide it in the fridge from her. I tasted it, hm, could eat it myself by the spoonful! Very yummy! My impression of the packaging for Plum Organics? Sleek and tasteful. Plum Organics is giving one lucky reader some Baby Food pouches and flash-frozen cups. Go to the bottom of the post for info on how to enter! Revolution Foods: First and foremost, this brand is not just about conveniently packaged and lunch box ready snacks. Three percent of the net revenues from all product purchases goes to their School Lunch Program for kids in underserved schools. We received the Original and Cheesy Organic Pop Alongs, Organic Mashup Squeezable Fruit, Organic Jammy Sammy, and Organic Grammy Sammy. Are the Pop Alongs an organic disguise for junk food? No, they are not fried, they are popped and have a simple ingredients list (check out the nutritional panels). I just tried the original ones, yummy! They are very light and airy, not at all greasy, and very lightly salted. I also gave the Apple Cinnamon Jammy Sammy a try. Good stuff. A little too sweet for my taste, but people say I like things bland. So this is probably just right for the average kid. At least it is not sweetened with processed sugar but with cane juice and agave. It is small, but the right size for a kid dessert in my opinion. The Mashups are my favorite though. Yes, you can buy organic fruits and pack them up for lunch. But if you are like me, you are not very good with fresh produce, i.e. something always goes bad before you get to eat it. This is where the Mashups come in. No peeling, dicing, or cutting. It is all ready for you and can be kept in the pantry for a few months because it is vacuum sealed! And the ingredients? Nothing less or more than organic fruit! Ah, to be a time starved mom! Would I grow my own fruits and veggies? Yes, if I could. Not bananas and mangoes though in New England. Thanks to the Nest Collective for putting healthy and organic in the same sentence with quick a ready-to-eat! 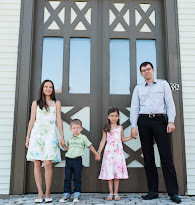 Their mission: "Making the world a little better". For moms and babies at least. Plum Organics Baby: in store at Babies R Us and Toys R Us. Plum Organics Tots: in store at Babies R Us, Toys R Us, select Whole Foods, HEB, Super Target; online at Babies R Us, Toys R Us, Amazon.com, and Drugstore.com. Revolution Foods: in store at Toys R Us, Whole Foods, Wegmans, HEB; online at Toys R Us, Amazon.com, and Drugstore.com. 1. Go to the Plum Organics website and tell us in a comment what flavor baby food you like most. Contest ends at 11:59 p.m. EST on Thursday, Oct. 15. The winner will be selected using Random.org on Friday, Oct. 16, and notified by email (so please be sure I have a way to get in touch with you). Thank you! We love the pumpkin banana baby food in this house! my daughter inhales it like she is afraid we are going to take it away! Hmm the sweet potato, corn, & apple really sounds interesting!!! I think my daughters would LOVE to try pear & mango. Sounds yummy. Pumpkin and banana sounds the best! I love Eco Babyz!! I have recently made the transition to organic foods for my daughter.I know she would love pear and Mango. What great products for kids!! The pumpkin banana sounds good! Spinach, peas, and pear, because it sounds like a good way to get veggies into my baby. I'm rachruiz1 at gmail dot com. Pear and mango sounds good! My baby would love the pasta with veggies and chicken! I'm also following @PlumOrganics on Twitter user lisalmg. I'm a fan of EcoBabyz on Facebook user lisalmg. I'm also a fan of Plum Organics on Facebook user Lisa Garner! I think the Pumkin Banana sounds good or for a treat the Pear Mango sounds sweet! The pasta with veggies & chicken flash-frozen cup sounds very nice! I became a fan of EcoBabyz on Facebook. I became a fan of Plum Organics on Facebook. The Pumpkin & Banana sounds good.